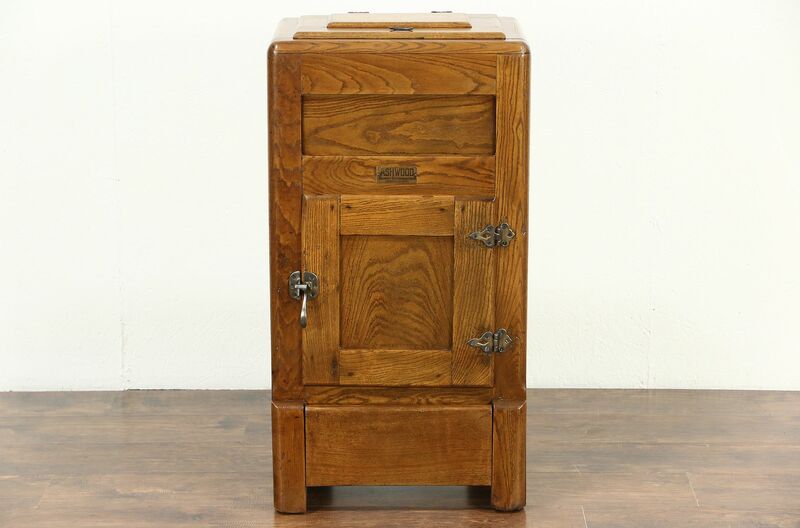 A small icebox in solid ash and oak from about 1900 is signed "Ashwood by Ranney Refrigeration, Greeneville, Mich.," and would make an interesting bar cabinet. The restored finish is in excellent condition, preserving various mars and repairs for a little antique character. The interior of this antique kitchen furniture has a later wood and panel lining. Size is 19 1/2" wide, 15" deep and 37" tall.